Mark Sharp is a licensed clinical psychologist with a Ph.D. in clinical psychology from the University of Houston. He has been providing therapy and counseling to couples, families and individuals for over twenty years. He worked in a community mental health center for fourteen years where he was the coordinator of the child and adolescent therapy team. In addition to his clinical work and supervision of staff and students, he provided training and consultation to a number of community agencies and schools. Mark has long been committed to the development of other therapists and was the coordinator of the practicum training program at his agency. 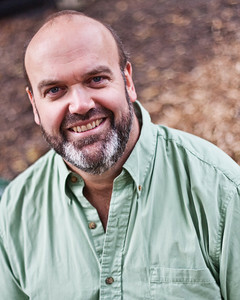 In addition to extensive supervisory experience, he has taught classes at the undergraduate and graduate levels and has been a member of the training faculty at the Family Systems Program at the Institute for Juvenile Research and an adjunct faculty member at Northwestern University and Argosy University Illinois. Mark started in part time private practice in 1992 while maintaining a full time agency job. In 2006 he left his agency and founded the Aiki Relationship Institute to fulfill his vision of a practice focused on helping people maximize their relationships. This includes increasing intimacy and connection for couples, helping children develop in their families, and helping individuals find the relationships they desire and create balance in their lives. Mark is a member of the American Psychological Association and several of its divisions, including Family Psychology; the Society of Clinical Child and Adolescent Psychology; Child, Youth, and Family Services; the Society for the Psychological Study of Men and Masculinity; and the Society of Psychological Hypnosis.